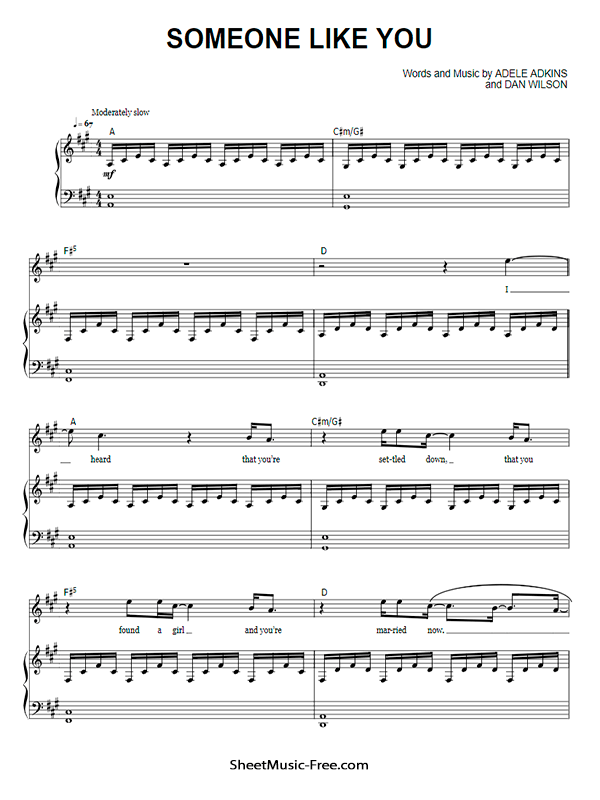 “Someone Like You Sheet Music” by Adele, has a slow tempo of 67 beats per minute. Written in common time, the song is in the key of A major. Adele’s vocal range spans from F#3 to E5 during the song. Someone Like You Sheet Music Adele.